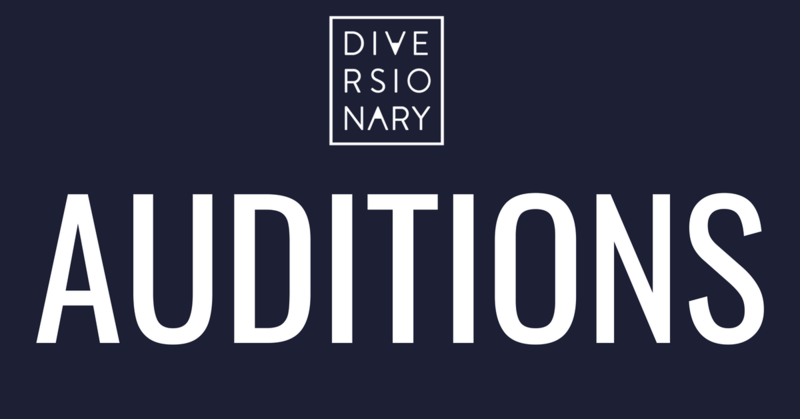 Diversionary Theatre will be holding an open call for its upcoming 2018/19 season. Please see the show descriptions and casting breakdown for information on which specific roles we are seeking actors for. The open call will take place on Monday, July 30th and Tuesday, July 31st from 6-10pm at Diversionary Theatre. Each actor will be given a four-minute slot. You will be asked to perform two contrasting monologues that should not exceed four minutes combined, or, if you would like to be considered for the musicals, one monologue and one acapella selection that should not exceed four minutes combined. Please select your first and second choice for hour-long blocks of time in which you are available to have your four-minute audition scheduled. We will do our best to accommodate you and will respond to you with an email once auditions have been scheduled. Submitting a response does not guarantee you an audition time. If you have any questions, please email anthony@diversionary.org. Thanks so much and we can’t wait to see your work! 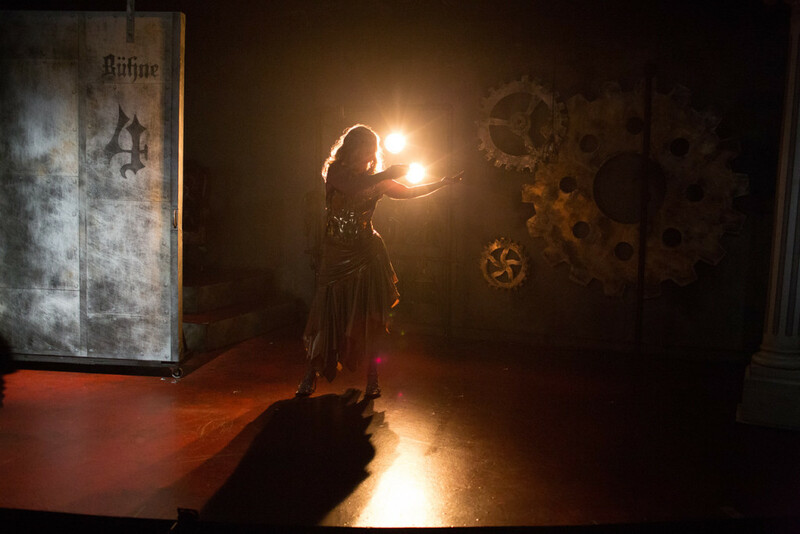 Set at the dawn of the 20th Century, Bull in a China Shop traces the true story of Mary Woolley and her partner Jeannette Marks as they set out to revolutionize women’s education and electrify the suffrage movement. Told with a modern twist that shoots from the hip, this surprising, whip smart comedy examines the ambition and desires of two women bent on changing the course of history, and how they ended up changing each other. All roles in Bull in a China Shop have been cast. Created from actual interviews with citizens of Colorado Springs, the capital of the Evangelical movement, this timely musical explores faith, and the organized resistance against Gay rights. Traversing a scandal that rocked the core of the religious right, This Beautiful City illuminates a cross section of a community poised at the volatile intersection of church and state. Diversionary’s revival of this authentic, often humorous exposé of a nation divided honors composer Michael Friedman’s extraordinary contributions to American theatre. The role of Man 3 has been cast. Woman 1 (transgender or cisgender female)- Plays atheist activist, young woman, T-girl Christian, and others. Woman 2 (cisgender female)- Plays economic development woman, fairness leader, RHOP member, “End Times” singer, and others. Woman 3 (cisgender female, African American)- Plays converted woman, “Whatever” singer, Emmanuel Choir member, Ben Reynolds, new pastor at Emmanuel, Air Force cadet, and others. Man 1 (cisgender male)- Plays associate pastor, fairness worker, Ted Haggard emails singer, reporter, Air Force cadet, and others. Man 2 (cisgender male)- Plays alt writer, Mikey Weinstein, RHOP leader, and others. This poetic new play with music follows Ed, a gay Jesuit priest who leaves the Catholic church to reconcile with his estranged brother in an isolated and icy township in Alaska. As Ed confronts his tragic past and tenuous future, he unexpectedly finds love beneath the starry Alaskan sky, and support from an unlikely ally. Introducing an auspicious new voice in American theatre, The Hour of Great Mercy is a tender, insightful and compassionate story about our collective relationship to illness, family and redemption. The roles of Roger, Maggie, Joseph have been cast. Ed (male, mid 60s, Caucasian)- A Jesuit priest with ALS. Calm, loving, sensitive, strong willed, compassionate to a fault. Irma (female, old age, Filipina)- A landlord. Fun-loving, compassionate, a caretaker. A straight shooter. Must sing a karaoke song, either well or not well. 20 years after its explosive debut that changed American theatre forever, this iconic queer rock musical comes to pulsating life for the first time on the Diversionary stage. Outcast turned rock underdog, Hedwig catapults the audience into their outrageous origin story that is both hilarious and horrifying, connecting the deeply personal to the universal. As Hedwig discovers themself anew through telling their tale, this transcendent musical journey is a thrilling ride to discover your own rock and roll destiny. Hedwig (gender queer / non-binary- 20s-30s, any ethnicity)- Please note that in this production Hedwig will be portrayed as having a gender queer / non-binary identity. We are looking for actors across the TGNC spectrum to play the role as such. East German rock singer and front person of The Angry Inch. Hedwig grew up in communist East Berlin, fell in love with an American GI, and underwent a botched reassignment surgery in order to marry and move to the states. Glamorous, charismatic and always commanding even when at their most bitchy or vulnerable. Has had high highs and low lows. Very strong rock voice (high to B4). Must have a convincing East German accent. Actor must be able to dexterously shift from persona to persona (Hedwig’s mother, husband, rock icon ex-lover, Tommy Gnosis). Actor should have terrific physical stamina. Yitzhak (cisgender female or non-binary, 20s-30s, any ethnicity)- Hedwig’s Croatian male husband and roadie/back-up singer. He is Hedwig’s vocal sparring partner – theirs is an emotional and at times abusive relationship. The actress playing Yitzhak should be believable as a butch male but one that chafes at the bonds of traditional masculinity and longs to explore his feminine, creative side. Very strong singer with rock and roll vibe. Wide vocal range a must (high belt to a G). Must have a convincing Balkan accent. Should be able play basic percussion instruments – tambourine; maracas. As Jordan Berman pounds the New York City pavement searching for Mr. Right, he wards off lonely nights with his trio of close-knit girlfriends. As singles’ nights turn into bachelorette parties, Jordan must face his own capacity to love, and be loved. This hilarious and heart-wrenching Broadway comedy dives into the trenches of urban single life and the aspirational gay wedding, reminding us that you can’t hurry love—no matter how much you wish you could. The roles of Jordan Berman and Helene have been cast. Laura (female, late 20s)- The epitome of the best friend. Warm and caring. Vibrant in her own right but thinks of herself as more suited to friendship than romantic love. Vanessa (female, late 20s, African American)- Very salty. Tends to see the glass half empty until she unexpectedly finds love and with love comes all the things she swore she never wanted in life, like marriage. A great comedic actress. Kiki (female, late 20s)- Jewish. A no-filter girl. Relishes her role as the audacious one in the group. A stellar comedic role that requires the right balance of intelligence and warmth. Will/Conrad/Tony (male, late 20s)- Plays either the love interest or obsession of several characters in the play. All the characters are very handsome and smart. A versatile actor who is great with comedy. Gideon/Evan/Roger (male, late 20s)- A great character actor who is adept at playing multiple roles and has a sharp comic sense.